Attractive Medieval Arched St Trinity Bridge (Ponte Santa Trinita) Over Arno River. Colorful Spring Sunset In Florence, Italy, Europe. Traveling Concept Background. Fotos, Retratos, Imágenes Y Fotografía De Archivo Libres De Derecho. Image 116551633. 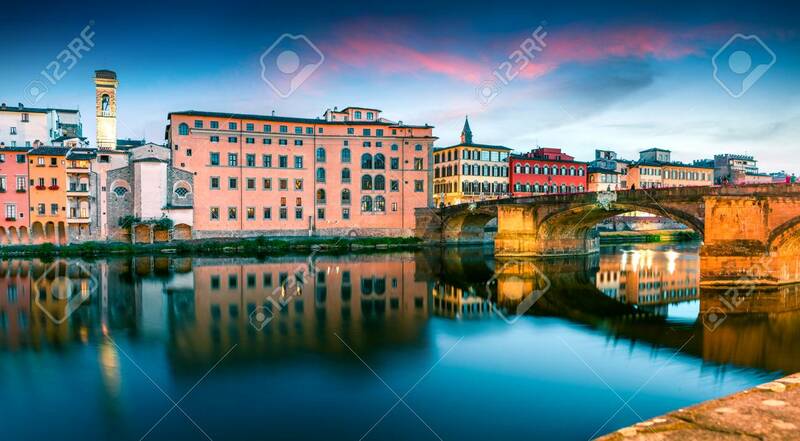 Foto de archivo - Attractive medieval arched St Trinity bridge (Ponte Santa Trinita) over Arno river. Colorful spring sunset in Florence, Italy, Europe. Traveling concept background. Attractive medieval arched St Trinity bridge (Ponte Santa Trinita) over Arno river. Colorful spring sunset in Florence, Italy, Europe. Traveling concept background.